Do you have a special art piece you’re looking sell? Or maybe you’re looking to buy some one-of-a-kind art pieces? 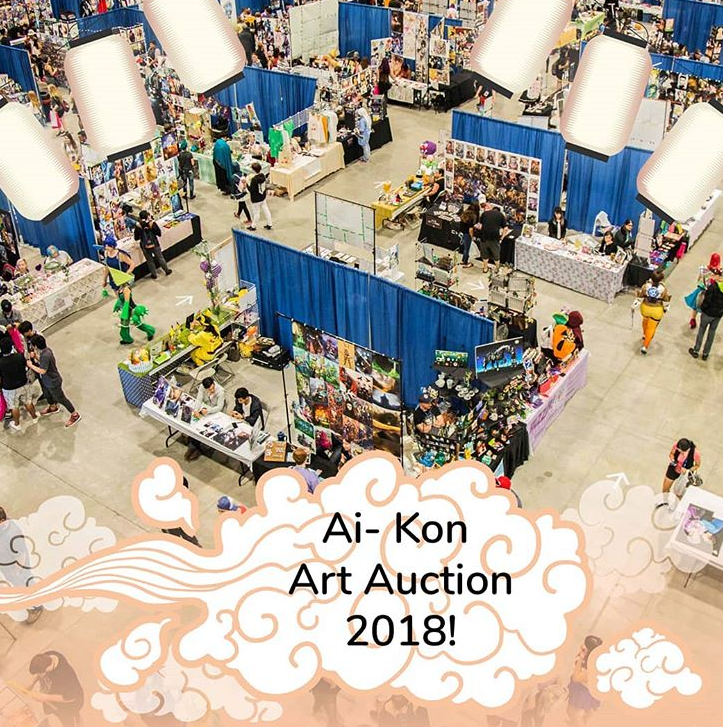 Look no further than the 2018 Ai-Kon Art Auction! It’s bigger and better than ever in the Marketplace! Art submissions are open to all artists – you are not required to have an art table to enter and artists who don’t have tables are encouraged to enter a piece into the auction! Bidding is open to all attendees, all weekend! Bidding opens at 2:00 pm Friday, July 27th, and runs until Sunday, July 29th, at noon! For full submission rules and auction hours, please check out this link!